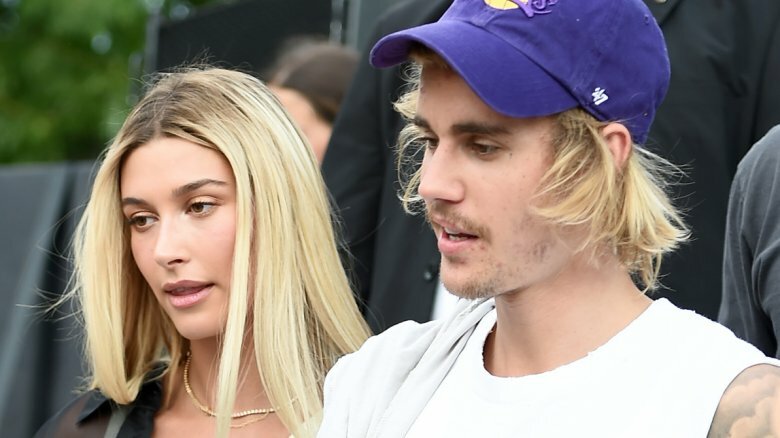 Pop star Justin Bieber and his model fiancée, Hailey Baldwin, may be headed toward marriage a lot sooner than anyone anticipated. TMZ reports that the celebrity couple, who announced their engagement in July 2018, were seen heading into a New York courthouse on Thursday, Sept. 13, 2018. Eyewitnesses told the gossip rag that Bieber and Baldwin headed specifically to the Marriage Bureau, were marriage licenses are issued. Sources also informed TMZ that Bieber appeared highly emotional, crying and telling Baldwin, "I can't wait to marry you, baby." Another insider said that the "Despacito" singer thanked a court official — possibly a judge — for "keeping it on the DL." Yet another source recalled hearing Bieber, 24, and Baldwin, 21, say that they were going to leave the country. Maybe they'll be staying at the $5 million mansion Bieber reportedly just bought in Ontario, Canada? While their presence at the courthouse certainly would suggest that Bieber and Baldwin would be getting married sometime soon, a source told People that the couple is still planning their wedding. "They have hired a wedding planner and have been looking at venues," the source said. "The plan for now is to have a real wedding." Still, if Bieber and Baldwin did indeed get their marriage license, as is suspected, the two will likely tie the knot in New York within two months, since marriage licenses are only valid in the state in which they were issued for 60 days. Baldwin previously opened up about her future wedding to The Cut and revealed that she'd been dreaming of a romantic affair in the woods. "I just picture lights strung everywhere," she shared. "I think having it in the woods would be so beautiful." She also announced that her sister, Alaia Baldwin, would be one of her bridesmaids and that she was thinking that Bieber's younger sister Jazmyn Bieber might serve as a flower girl. However, as of now, no details about Baldwin and Bieber's wedding have been officially confirmed, so we'll all just have to wait to find out about when — and how — the celebs will tie the knot. But given how much thought Bieber put into Baldwin's engagement ring, we suspect that their wedding will be one for the books.